Where can I find the nearest distributor? When an electric sauna heater is installed in the sauna, how is the ventilation to be arranged? 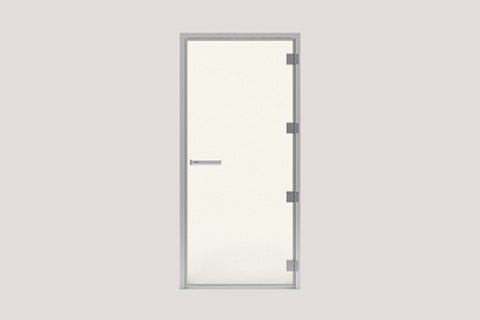 Tradtional or natural ventiliation that uses the hot airs natular flow. An inlet of fresh air under the heater and an outlet at the opposit wall high up by the celing. This gives a lower temperature at the floor and the lower benches. 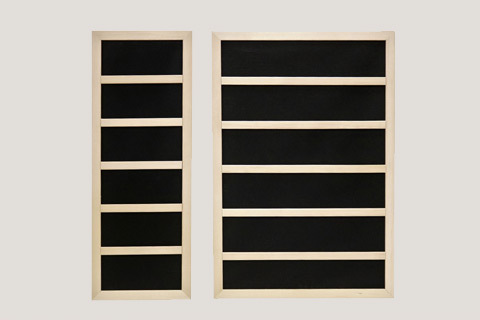 Our Tylö Sense heaters and Tylö Expression requires this traditional ventilation. 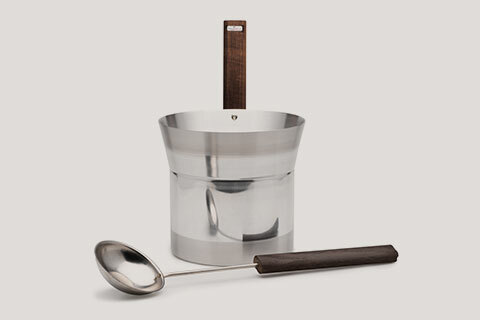 It is also often used with wood burning heaters, but it can be used for all of our heaters. Forced mechanlical ventiliation is based on an inlet of fresh air right above the heater or in the celing above the heater. And an outlet at the opposit wall by the floor. This gives a more even temparature in the sauna. This ventilation technic can´t be used for our Tylö Sense and Tylö Expression heaters, but for all others. How do I calculate the sauna volume, when installing an electric sauna heater in the sauna? Answer: Multiply the height by the width and length. Add the volume of cold surfaces to the previous result: i.e. calculate the stone and glass surface are and multiply by 1.5. The result is in cubic metres, you then add this to the volume of the sauna. Select a sauna heater output according to the result. How do you choose a heater with the right output? Your choice of heater will depend on how large your sauna is. 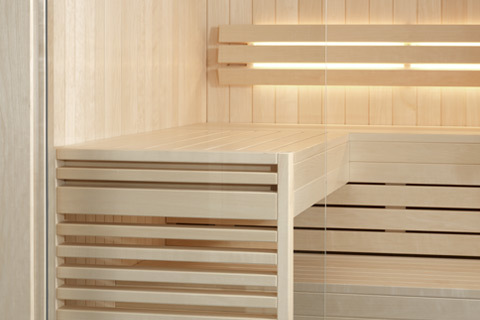 Always choose a heater that provides the maximum output in relation to the size of the sauna. 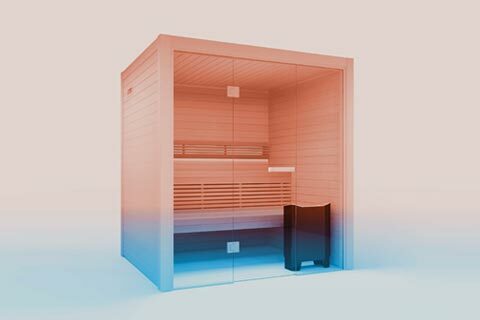 The greater the output in relation to the volume of the space, the easier it is for the heater to heat the sauna and maintain the temperature. It also means that energy consumption is minimised. You will need a heater with a higher output if the walls inside the sauna are made of a heavy material, such as concrete, glass, tiles, etc. To calculate the required output, add one cubic metre to the total volume of the sauna room for every square metre of heavy wall material. Is a consumer allowed to install an electric sauna heater? Answer: No. Only an authorised person is allowed to connect a sauna heater to the electrical network, according to the electricity regulations in force. Do the service companies sell new sauna heaters as well? Answer: Yes they do. They also provide installation service. Where can I find a sauna heater fitter? Answer: You can find a sauna heater fitter in the list of contract service companies. Where can I find information about what kind of heater I have? The data rating plate is located furthest down on one of the ends of the heater. This shows what model it is, the serial number, the power rating of the heater and the year/month of manufacture. Where can I find information about the minimum safety distance for my heater? Details about minimum safety distances are given in the operating instructions that come with each product, User's Manuals and Brochures. You can also consult your nearest distributor. Do I need to have stones in my heater? 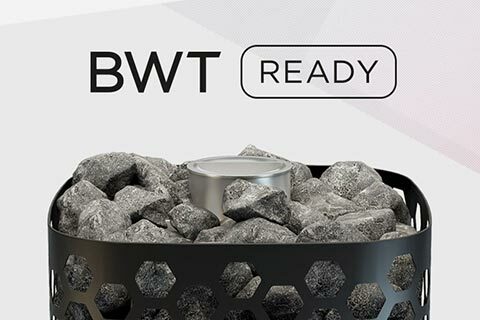 Answer: Several of our heaters have a feature of beining optional with how much stones are suitable for that heater. Please see technical specification for your chosen heater. Answer: No, it's not essential to have stones with a Tylö sauna heater, but if you don't, you won't be able to throw water onto it. What is the best stone for sauna heaters? 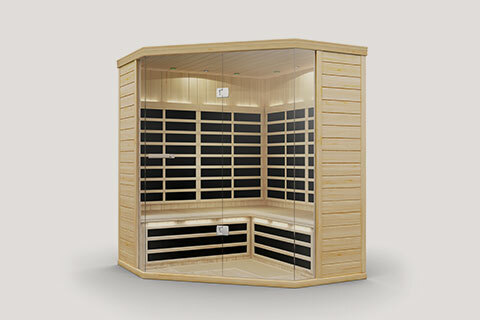 Answer: The best stone is always tested by the sauna heater manufacturer. TylöHelo recommends vulcanite mineral, this stone quality is appropriate for the sauna heater and it is safe. Please read the technical specification for your chosen heater. Why is the use of ceramic stones not permitted in sauna heaters? Answer: Ceramic stones will destroy the resistors and shorten their operating life considerably. 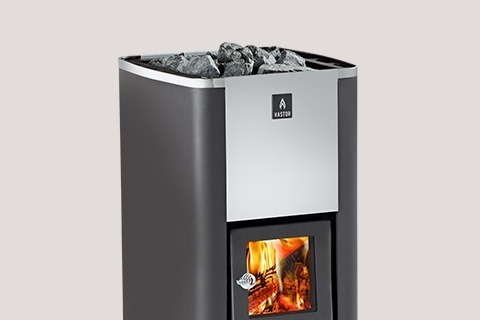 How often is it necessary to reset the sauna heater stones in normal use? 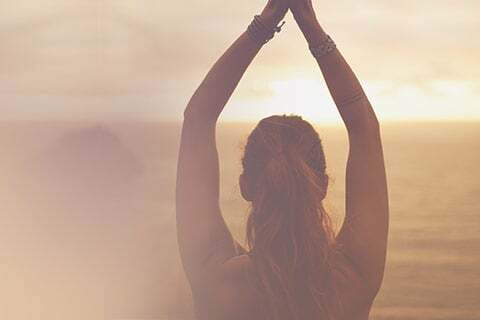 Answer: The stones should be reset according to the following principle: if you use the sauna once a week, the stones should be reset once a year, if you use the sauna twice a week, the stones should be reset twice a year. When resetting the stones, broken and sand-surfaced stones are removed and replaced by new ones. As they are used, the stones gradually break down and become more compact. It is therefore important to restack them occasionally to allow the air to flow freely between the stones. Good air circulation is required to ensure the heater works properly and to maximise the life of the heating elements. The stone compartment in a public sauna, which is used continuously, should be inspected once a month and the stones replaced when necessary. Should my heater be covered in stones? Answer: Several of our Helo heaters have a feature of beining optional with how much stones are suitable for that heater. Please see technical specification for your chosen heater. 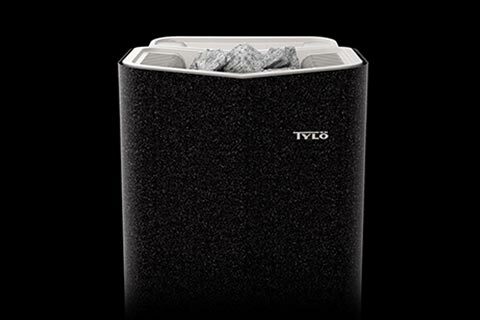 Answer: Tylö's traditional heaters should only have stones in the central compartment, i.e. the two compartments on either side must not covered. Do not place any stones on the grille on top of the heater. Exceptions to this are the SO, EP, EH and EZ which have a larger compartment for stones that should be completely filled. What do I do if there are problems with the sauna heater? Answer: Call the nearest service company. How often should the stones in a sauna be replaced? That mainly depends on how often the sauna is used. If it's a private sauna that is used twice a week on average, you should replace the stones once a year. As they are used, the stones gradually break down and become more compact. It is therefore important to restack them occasionally to allow the air to flow freely between the stones. Good air circulation is required to ensure the heater works properly and to maximise the life of the heating elements. We generally recommend replacing the stones once a year in a public sauna, if it is used once a week on average. Twice a week, twice a year, and so on... The stone compartment in a public sauna, which is used continuously, should be inspected once a month and the stones replaced when necessary. Can I pour water onto the heater? When your heater is hot, you can pour water over the stones to increase the humidity in the sauna. The amount of water you pour on the stones each time will depend somewhat on the size of the heater. One scoop of water, about 15 cl. is fine. If the water runs out of the bottom of the heater, it means that you've poured too much water or the stones are not hot enough. Wait a few minutes before you pour on more. Why does the sauna not heat up enough? Answer: First check the fuse box to see whether a fuse has blown. Look to see if all the heating elements are glowing when the heater is turned on. If they are not, it might be because the heater's overheat protection has tripped. 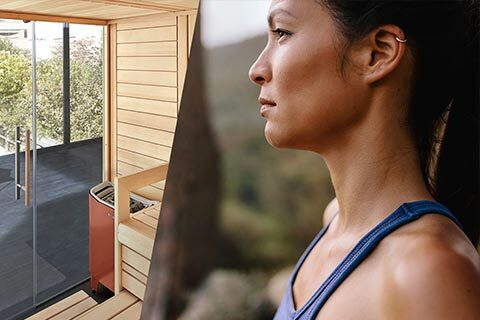 Other factors that affect the heating in the sauna are ventilation, position of the temperature sensor, how well sealed and insulated the sauna is and whether the heater's output is correctly sized for the sauna. Don't forget that if your sauna walls are made of materials such as stone, tiles, concrete or glass, a greater output is required to heat the sauna than would be needed for an insulated wooden sauna. If everything seems to be in order but the sauna is still not heating up properly, contact the dealer where you purchased the heater. Why do you go into a "cold" sauna with a heat-storing sauna? Answer: When a heat-storing sauna is used in the sauna, the sauna is not preheated; instead, the energy in the stones of the sauna heater is used for taking a sauna. 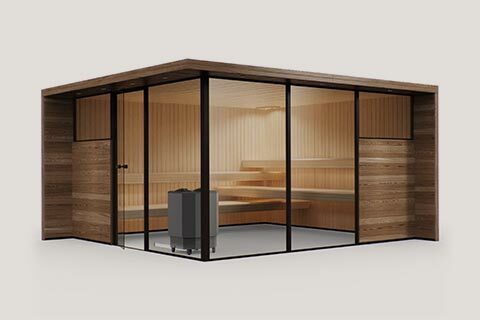 If the sauna heater breaks down, during the guarantee period, whom do I contact? How long is the guarantee for sauna heaters? 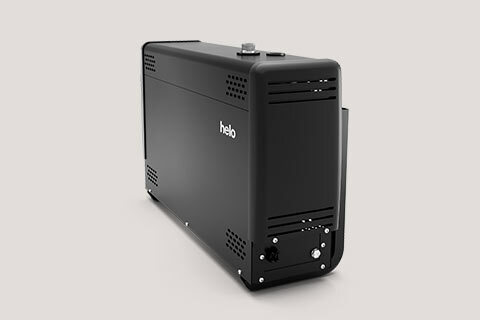 Private use: The Helo electric sauna heaters have a two-year guarantee; the spare parts have a one-year guarantee. Wood burning sauna heaters have a one-year guarantee. 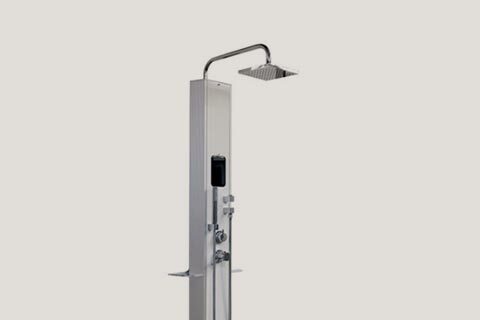 Private use: The Tylö electrical sauna heaters, steam generators and control panels have 2-year warranty and in addition, another 3-year material warranty. Where can I buy spare parts for the sauna heater? Answer: Contact your TylöHelo dealer to buy spare parts. 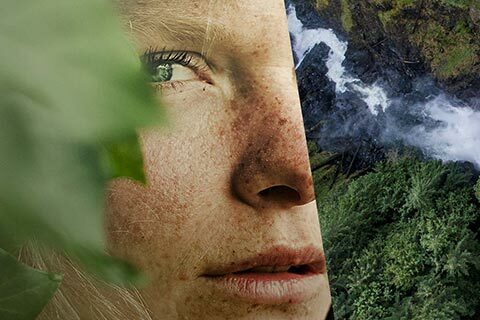 Klick here to find a dealer close to you. Where can I find a Helo guarantee service company? Can there be stone and glass surfaces in a sauna with a heat storing sauna heater? Answer: Yes, but all the walls and ceiling must be thermally insulated. I have an older model of heater and one of the coils has stopped working. Is it possible to fit new coils in the heater? Yes, in most cases it's possible to replace the heating coil elements. 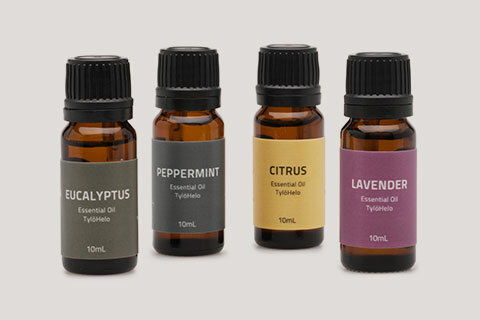 Contact a TylöHelo dealer for more information. Klick here to find your dealer. My heater has suddenly stopped working or some of the elements are not heating up? First check to see whether a fuse has blown or the circuit breaker has tripped. If that's not the reason, it is likely that the overheat protection has shut the heater off. 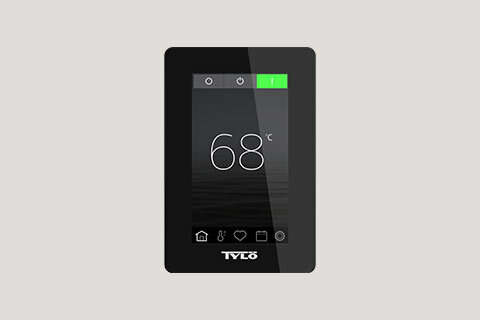 Tylö's sauna heaters have a temperature limiter built into the switch box at the bottom of the heater. This is tripped automatically if there is any risk of overheating. Always contact a qualified electrician to re-set the temperature limiter if it is not possible to re-set it on the outside of the heater. What causes the overheat protection to trip? Answer: If the overheat protection trips, it is usually an indication of poor or inadequate ventilation through the heater and the sauna room. Always follow the instructions in the heater manual about the design and specifications for ventilation in the sauna. Always check the stone compartment if the overheat protection thermostat trips. If the stones have become compact, restack them to allow for the free flow of air between them. Always contact a qualified electrician to re-set the overheat protection thermostat if it is not possible to re-set it on the outside of the heater. How do I re-set the overheat protection on my Tylö Compact 2/4? 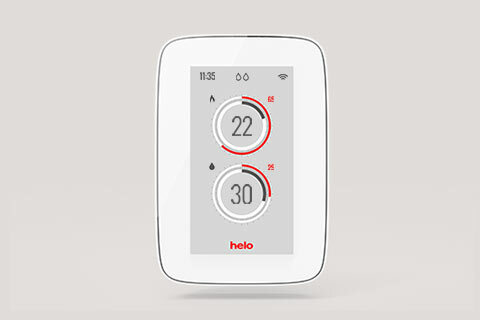 Answer: There is a grey cover next to the thermostat control. 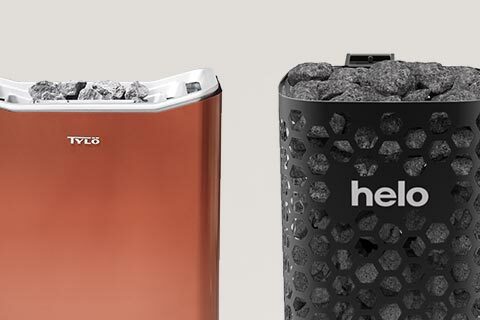 Remove this cover and re-set the overheat protection using a pencil or similar object.